Precision machined black point tips and Kraftform 2 material handle for comfort. Highly durable "bit material" blades for extreme wear resistance. Set contains: SL3, SL4, SL5.5, SL6.5, PZ1 and PZ2. Set contains: SL3 x 80mm, SL4 x 100mm, SL5.5 x 125mm, SL6.5 x 150mm, PZ1 x 80mm, PZ2 x 100mm. 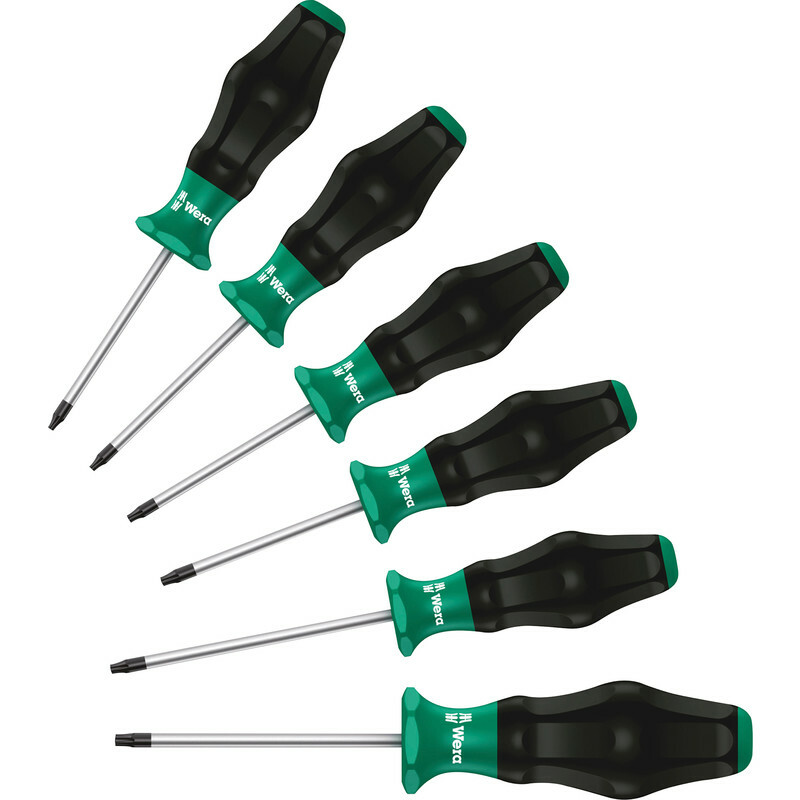 Wera Kraftform Comfort Screwdriver Set (6 Piece) is rated 5.0 out of 5 by 5. Rated 5 out of 5 by TR15 from Good quality. High quality with comfy grip. Rated 5 out of 5 by GraGas from Get a grip Great screwdriver set, quite compact feel good in your hand.